GEGL can drive you crazy. It has been around some years so came as a bit of a surprise that generally does not work with (k)ubuntu 16.04 - GEGL version 0.3.4 Spent some time before I realised it was not going to work, but does work with the later version in (k)ubuntu 18.04 ver. 0.4.12 which comes from the otto-kesselgulasch PPA for Gimp. Interesting doc. 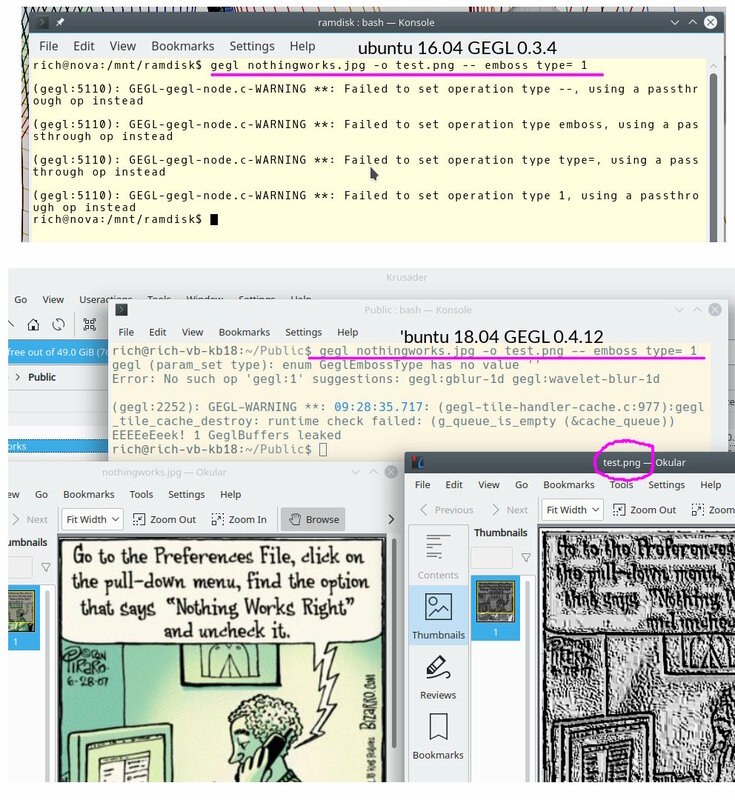 I found GEGL is a requirement to compile Gimp 2.10 on Windows which I did last year. ATM I use some of the G'Mic filters on multiple layers. Filters I use are 'remove hot pixels', 'photocomix smoothing' and basic color adjustments. I sometimes use Gimp-GAP 'filter all layers' which I think is written in C. It's fast compared to G'MIC. I still use Gimp 2.8 which is 'ram dependent'. You know it when you hit your maximum ram because Gimp starts swapping to hard disk which is slow. People say to use video editors like Kdenlive rather than Gimp for animation but I started doing animation on Gimp and I like using it.